I read this article and found it very interesting, thought it might be something for you. 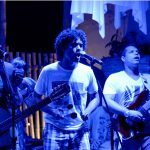 The article is called 7 Nightlife Scenes to Enjoy in Manaus and is located at http://trip-n-travel.com/listicle/20779/. Memorable nights are often those spent awake in lively clubs and bars with music inviting every bone in your body to dance, alcohol fueling your energy for a good time, and a crowd ready to party with you. Manaus is a great place to enjoy the evening because the locals love a good party. After all, Brazil is well known for its Carnaval and festivals. Here are 7 places to visit for memorable evenings at Manaus. If you’re up for an evening of good old rock and roll, then Porão do Alemão is the place for you. Discover local and international bands while rocking the night away. Known as the most popular rock nightclub at Manaus, the place is often crowded. If you prefer partying with less crowd, Thursday is the recommended day to go. Not only is the club famous for featuring great bands, the drinks are affordable and the food is also good. Party Brazilian style at Lappa Bar as they play Samba music all night long. Learn Samba moves from the locals or if you’re looking for variety, then you should visit the club on Friday when they feature live bands that play different music styles, all equally enjoyable. Not only is Friday great for music but also for food and drinks between 5:00PM – 9:00PM, Happy Hour offers a buffet with two beers. It’s best to commute to the place because it is difficult to get parking. 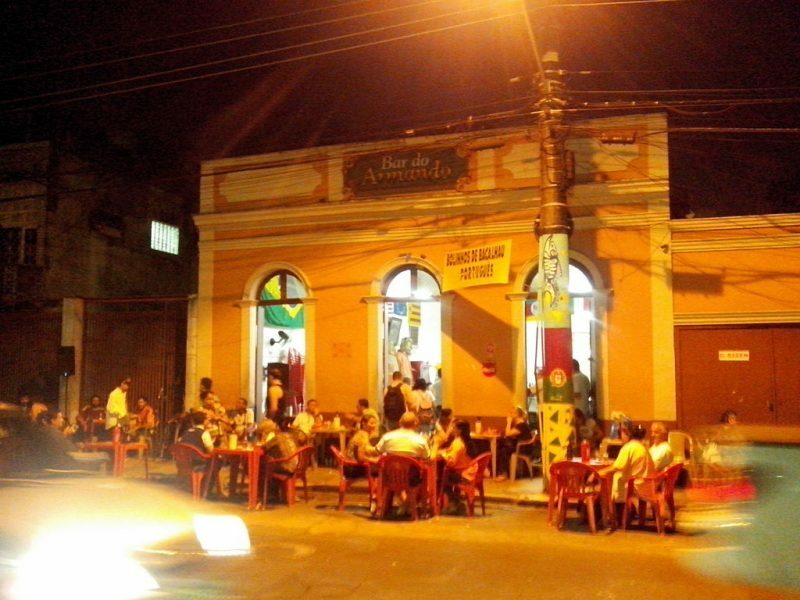 Kick back and relax with your travel buddies after a long day of exploring Manaus at Bar do Armando. Conveniently located near the Opera House, there are seats outside the bar that give you a chance to observe Manaus by nightfall when offices close and people are out for a good time. Meet people from all walks of life like writers, politicians, and bohemians. Satisfy your taste buds by trying their popular food and drink combo, an ice cold and an “x-porco” sandwich that is seasoned with lime. Take your taste buds on a culinary journey and indulge in Brazilian food at Cachaçaria do Dede. They are famous for stone-fried “carque” or South American jerky and “coalho” which is traditional Northern Brazil soft cheese, among other mouth-watering selections. Pair them with beer and go crazy with the choices as they offer 600 liquor brands. Be adventurous and try Brazilian beer, like “cachaca” and “chope”. You are sure to enjoy your evening with live music and great customer service. Keep your evening elegant while having fun at Bardot Bar. The place has a grand piano and plays live music every day. As the name suggests, the bar is a tribute to Brigitte Bardot who was an actress, singer, and model before she became an animal rights activist. Her photo is displayed on a wall in the bar’s stage. With its cozy atmosphere and good service, you’re sure to have a memorable evening. Dance your night away to electronic dance music from some of the best local DJs at Move Lounge. Party with the lively locals and because the club is popular, be sure to arrive early before the line gets too long. They offer an assortment of drinks so you would not run out of choices. Visit their website before hitting the club because they regularly have different themes, offering you a new experience each time. Begin your evening with a majestic view of the sunset while sipping a cold beer or other alcoholic beverage. 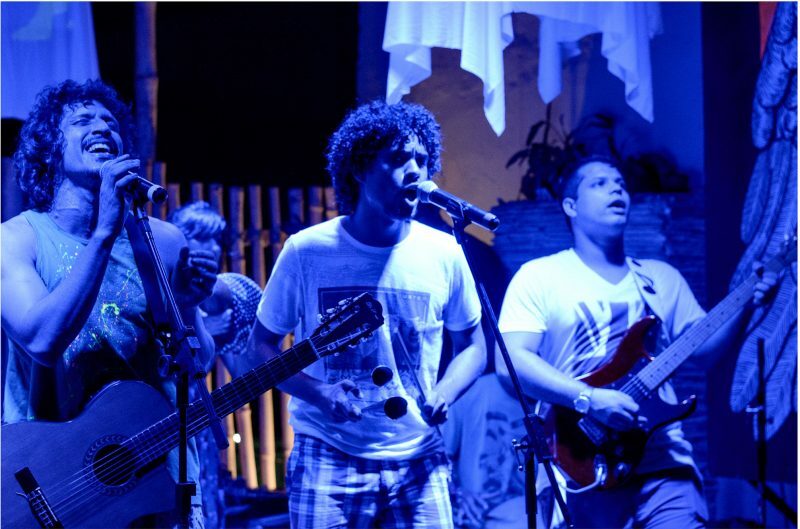 Relax by the beach while soaking in Manaus culture through their iconic reggae music. Compared to most bars, the place is quieter that gives it a great atmosphere for talking with your travel buddies, or be adventurous and befriend the locals or fellow tourists. Whether you’re looking for a wild evening or a place to unwind after exploring the city, Manaus offers a great variety of clubs and bars. Explore Brazilian culture through the local music and beer and mingle with locals to get the complete Manaus experience.